Hours before the space shuttle Endeavour is set to blast off for its final flight, NASA tweeted a striking photo of the space shuttle at the launch pad in the middle of a storm. 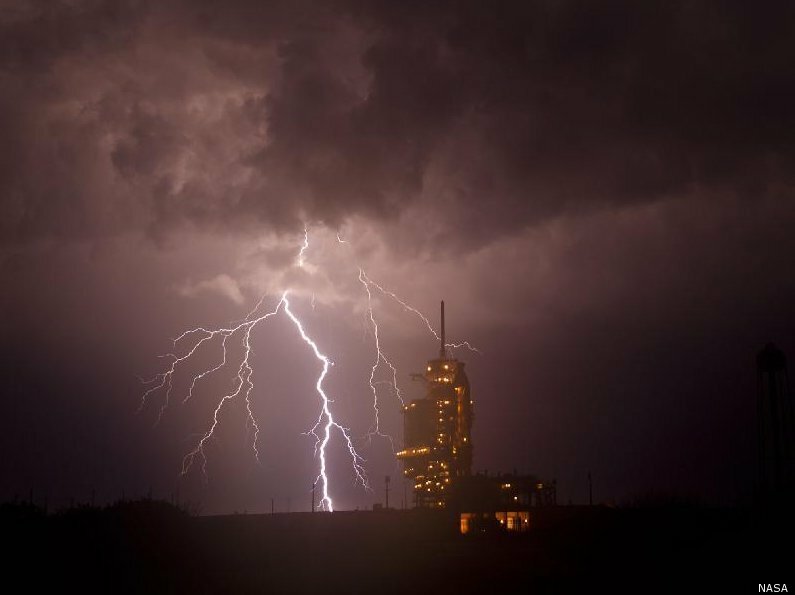 Lightning bolts can be seen around the Endeavour as it waits on the launch pad. NASA writes of the photo, "The space shuttle Endeavour sat on Launch Pad 39A as a storm passed prior to the rollback of the Rotating Service Structure, Thursday, April 28, 2011, at Kennedy Space Center in Cape Canaveral, Fla. Endeavour launches on the STS-134 mission on Friday, April 29 at 3:47 p.m. EDT. During the 14-day mission, Endeavour and the STS-134 crew will deliver the Alpha Magnetic Spectrometer and spare parts including two S-band communications antennas, a high-pressure gas tank." See the photo below, then see our guide to how and when to watch Endeavour's launch live.